So who doesn't like a good set of party balloons? 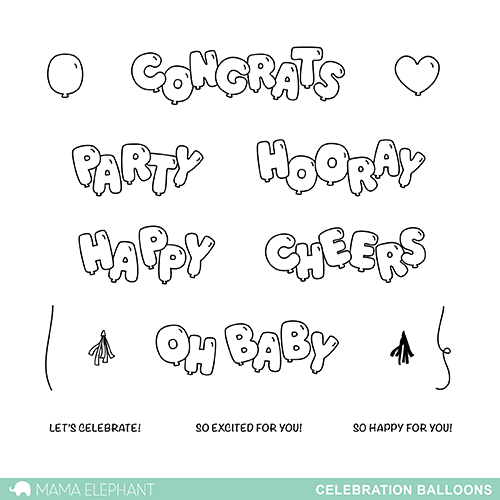 These Celebration Balloons sentiments are positioned for quick stamping. 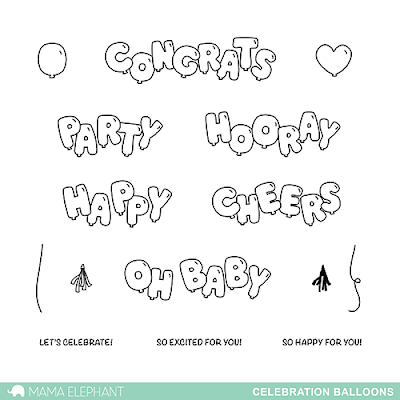 Making celebration cards in a jiffy just got a lot easier! It's not a party until you have festive balloons and some colorful candy! For those who know me, I am so addicted to these tiny round candies and of course, I felt inclined to make an another shaker card with them! These rolling beads fall in between the layered kitties from "The Cat's Meow" set. Looks like Angela and I were thinking along the same lines. Love her card and her obsession with those candy sprinkles makes me laugh every time. I'm using these two fun sets together as well. They were designed for each other actually. The fun thing about The Cat's Meow are the endless coloring possibilities. At first I thought it would be quite time consuming to color each cat. With how slow I color with Copic markers, it would take me a long time to finish! But then I played around and came up with this - just coloring parts of the ear section, and it was the easiest coloring I've ever done! And fun too! And those balloons are just plain fun, aren't they? You really can't go wrong no matter how you choose to color these cool cats and balloons! This card was perfect for a group gathering I just had celebrating a dear friend's recent graduation! The "from all of us" sentiment is from Girlfriends. Come back tomorrow for another stamp intro! This is really cool stamp and paired with the cute cats its Awesome ! Aaargh, this is so cute, and I'm not even a cat person!!! Love the new release so far, can't wait to discover the new creative dies. Those cats are super cute! Lobe them! Must have them! Both cards are fantastic, so fun and celebratory! Super combination! How fun these look together! this is a darling set. 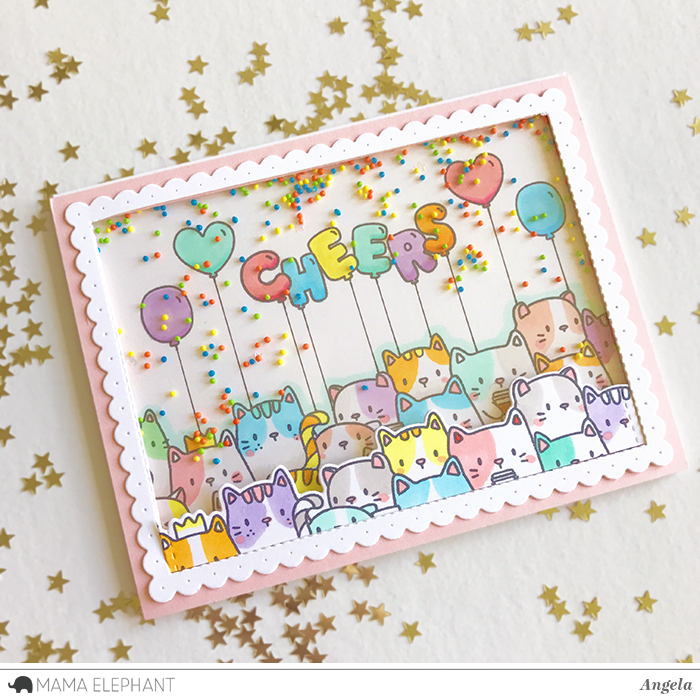 Those cards are beyond cute and love the balloons and kitties! These cards are sooo cute. I would love to have them for my daughter's birthday. I love love love the new kitty stamps! I could not sleep last night and went right on to order them at 2am. They are so cute and I love the cards on the blog. Great release!!! The cats crack me up. They are all so cute ! love the crowd of meow! Oh my gosh, I HAD to order the kitty crowd stamp and die cut! Can't wait to get them, just got my shipping notice!!!!!! Where can I get the bead sequins in the card???? ?